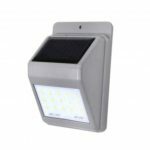 This Outdoor 8LEDs Inground Light can absorb solar energy in the daytime and convert it into electric energy to provide sufficient lighting for your yard at night. Its fantastic lighting effect will bring you romantic atmosphere. 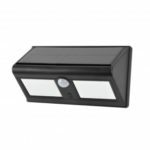 No wiring and quite convenient for installation, it is an excellent and powerful solar light. 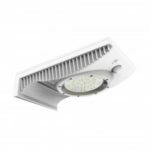 High-powered LEDs provide excellent illumination. It will make your house or yard warmer and more romantic. The solar panel can absorb the light energy to charge the battery at daytime provide sufficient lighting at night. 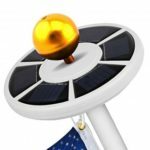 With this product, you can save more cost on electricity! Build-in battery can store more energy and last for much longer. It can work 7-10 hours when fully charged. 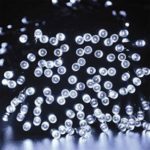 Waterproof material can help the lights last for much longer. No need wires, you can simply stick the stake into the ground. 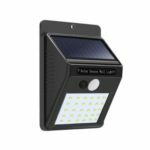 The solar ground lights are a perfect gift to garden lights and gadgets lovers.